When Fred can’t sleep, his mum suggests counting sheep. But sheep are boring so he decides to count elephants instead! In no time at all the house is full of elephants! They are splashing in the bathtub, doing tricks on the landing, eating everything in the fridge – there’s even a marching band on the stairs! Fred realises he’ll never get to sleep with all these noisy elephants causing mayhem, so he comes up with a cunning plan to persuade them to pack their trunks. 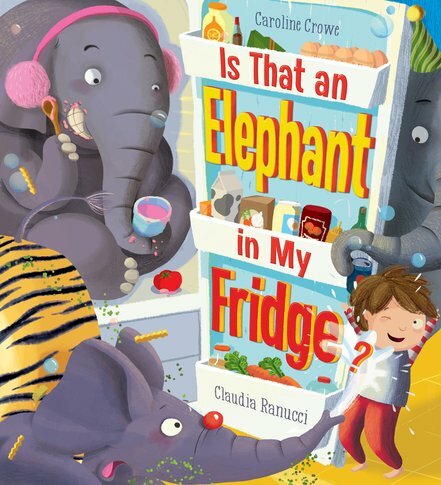 This fun-filled picture book is perfect to share at bedtime!